A new year! A new chance to look up the name behind a phone number. 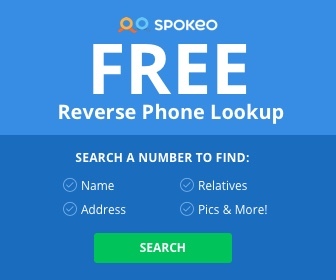 In this article, we will go over which methods WORK and which reverse phone lookup methods are outdated in 2015. As the new year picks up speed, there will surely be more methods to add to list as time goes on, so come back to see if new changes have been added every once and awhile. The new year will feature some great new articles about carrier-specific phone numbers, and how you can find the name of a phone number using cell service lookups from India, China, Japan, and the Philippines. Here we go! 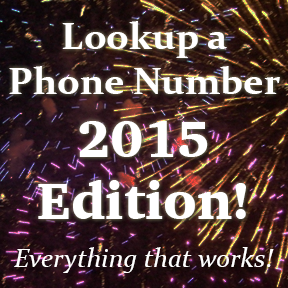 This is the list of methods that still work to lookup the name behind a phone number. Tested and approved as of the first of January, 2015! – This article is still effective for some Google Voice numbers, however, there may be some issues when looking up a phone number that has a changed voicemail besides the default Google Voice greeting, so if you use the information in the guide be sure that you are aware of the ways people can use autodialers instead of Google Voice to make phone calls to you. – This method only reports the number to Verizon. Verizon has stated they will no longer be releasing the names behind reported callers only in the exception of a warrant. If you are law enforcement, you can still contact Verizon here. We hope you have a happy new year! And as always, make sure you family and your identity is protected on the phone at all times. As scammers also transition into the new year, they will surely come up with new ways to steal your information over the phone, so always make sure that you and your family are aware of the scams that exists, so you don’t become another victim.